In December 2014, the renowned Swiss newspaper Neue Zürcher Zeitung published an article entitled „The ADF militia in Congo Kinshasa – Islamism in the heart of Africa”. Like other pieces in international media, the article claimed that the group Allied Democratic Forces (ADF) in the Democratic Republic of Congo (DRC) is a phenomenon of typical violent Islamism and that the group has links to known jihadist groups such as al-Shabaab or Boko Haram. In addition, ADF has also been officially identified by the Congolese government and the UN Peacekeeping Mission in the DRC (MONUSCO) as the sole perpetrator of massacres against civilians in the Beni region of the Congolese North Kivu Province, which resulted in at least 600 killed civilians and up to 90,000 internally displaced persons between October 2014 and mid-2016. However, are these assumptions correct? What are the characteristics and underlying motives of the ADF and who is responsible for the massacres in Beni? ADF began as a minor group in the forested Ruwenzori mountain region along the border between Uganda and DRC in 1996, but expanded its activities on the Congolese side over the following years. The first rebels, members of the Islamic Tabliq sect from Central Uganda and Ugandan opposition groups, felt oppressed by the Ugandan government due to their religious and ethnic affiliations. By 2004 then, the Uganda military had contained the ADF in Uganda and remnants fled to the North Kivu Province of DRC where they merged with the National Army for the Liberation of Uganda (NALU) group. The rebels have been engaged in economic activities, such as the illegal cross-border trade with timber, coffee, and gold and have run taxi businesses and shops in North Kivu. This enabled them to secure their livelihoods and to maintain some kind of autonomy with regard to their religious and social life. Furthermore, in the camps it had established in the early 2000s, ADF ran its own schools, a clinic station, an internal police force, as well as an Islamic court. 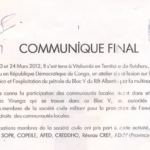 This state-like organization is to some extent unique among Congolese rebel groups. In contrast to other armed groups in DRC – but also most jihadist groups that oppose the education of girls and “Western” education – ADF apparently taught both boys and girls and even held classes in English and computer science. The group has ties with the local population, especially with the Nande community, and has good relations with local economic and political elites. ADF is composed of individuals from Uganda, Congo, and Tanzania, having different ethnic backgrounds. There is evidence that ADF entertains relations with diaspora based in London, Tanzania, and Kenya and receives transnational financial support from there. In the past, ADF was also supported by the Congolese Mobutu regime and Sudanese government which was at serious odds with the Ugandan government at the time. ADF’s military strength has been substantially reduced over the past three years. After having controlled substantial areas in North Kivu in the years before, ADF only operated small bases in the Congolese Rwenzori region and in the Virunga National Park in 2014. Due to Congolese military offensives supported by MONUSCO, the estimated number of 800 up to 1,500 armed fighters in early 2014 was reduced substantially to a few hundred fighters by mid-2016. As a consequence, ADF had to abandon nearly all of its camps. The group’s leader Jamil Mukulu – a former Catholic who converted to Islam – was arrested in Tanzania in April 2015 and extradited to a court in Uganda. Some other ADF leaders were allegedly killed during the fighting between 2014 and 2016. It seems that the remaining ADF members were forced to split into small, decentralized units, while the recruitment network likely remained intact. The strictness of rules and the religiousness vary between each of these groups. 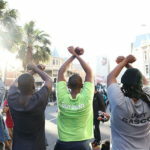 The organisation and the goals of the current leadership remain unclear and reportedly, many fighters are unaware of the political and ideological reasons behind their activities. The UN Group of Experts and other analysts found no evidence for sustained links between ADF and international jihadist groups. The governments of Uganda and the DRC often referred to such links and fostered the narrative of an international terrorist threat, supposedly in order to mobilize resources in the context of the “war on terror”, as commentators suggested. In December 2014 and January 2015, three Muslim clerics were assassinated in the Ugandan capital Kampala and on March 30 2015, the Ugandan government prosecutor Joan Kagezi was killed. The Ugandan government blamed ADF for these killings but could not provide any evidence for these links yet. As a fact, ADF committed extensive human right violations against the local population over the past 20 years. These included abduction and enslavement of women and children, forced conversion to Islam, torture, executions and the use of child soldiers. Furthermore, based on a very conservative interpretation of Sharia law, ADF imposed harsh penalties on members leaving the group in order to ensure that they did not reveal the groups’ secrets. However, its human rights abuses do not constitute a unique feature of ADF. Many armed groups in North Kivu resort to the killing of civilians and abduction of children. Much more notorious than ADF in the latter regard is the Rwandan-Congolese group FDLR, accounting for nearly half of the child abductions in 2015, followed by Raia Mutomboki and Nyatura. And these groups were in fact predominantly Christian. Some of the killings in Beni between 2014 and 2016 were most likely carried out by local militias, May May groups and members of the former Rally for Congolese Democracy (RCD-K/ML) rebels. Alliances within and between these groups seem to shift on a weekly basis and some of them, including ADF, allegedly have links to local elites. According to a UN report, even Congolese soldiers were involved in the killings. 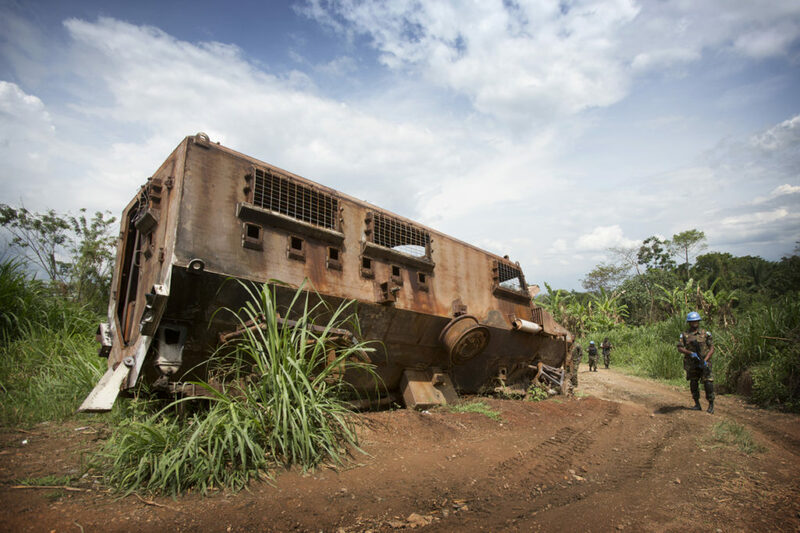 In May 2015, two Tanzanian MONUSCO soldiers were killed and 26 wounded. While MONUSCO first blamed the ADF, later evidence showed the involvement of parts of the Congolese military. To reduce the killings of civilians in Beni to a phenomenon of creeping “Islamist violence” is not the right way media and politicians should cope with the ADF threat. One has to be aware of the various actors and motives involved in order to differentiate myth and reality.